A common item on the early frontier was the horn cup. 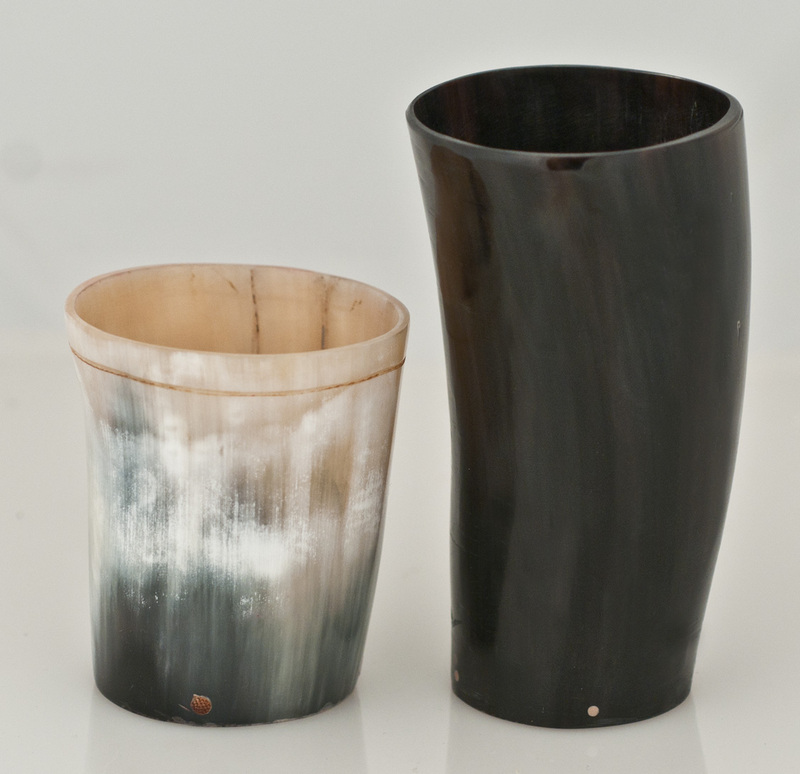 This type of drinking vessel has been in use since very early times, being fashioned from cow horns and buffalo horns, as available. Some cups were made by commercial shops in the East, using a lathe to turn a flattened horn disc that was then press fitted into a groove that was turned in the inside bottom of the cup. 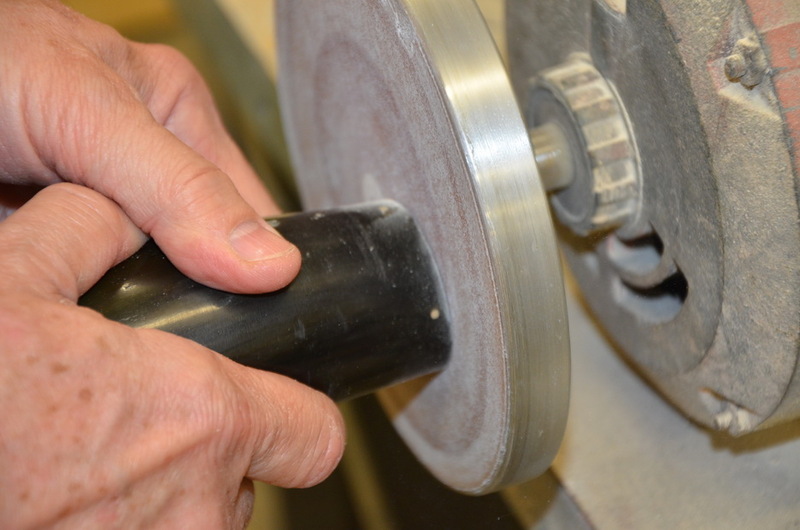 This required great skill in order to achieve a precise fit that would prevent leakage. Another authentic and common method of producing a horn cup was by inserting a tightly fitting wooden disc into the bottom of the cup and securing it with wooden pegs or nails. This is the method described here. 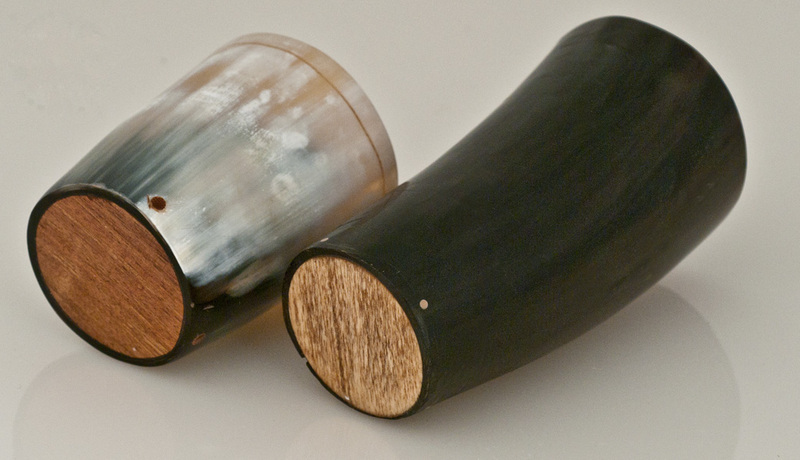 A common and authentic method of making a horn cup is to press a round, tapered wooden plug into a horn that has been tapered slightly on the inside, while the horn is hot. The excess wood is then cut off and sanded flush with the horn bottom. The accompanying photos show this process but it requires heating the horn in hot lard so we do not recommend this unless you have the tools to do this with and have experience heating horn. It is very easy to overheat cow horn and ruin it. The first step is to heat the horn to between 330 to 340 degrees Fahrenheit for about 40 seconds in order to make it plastic and moldable. 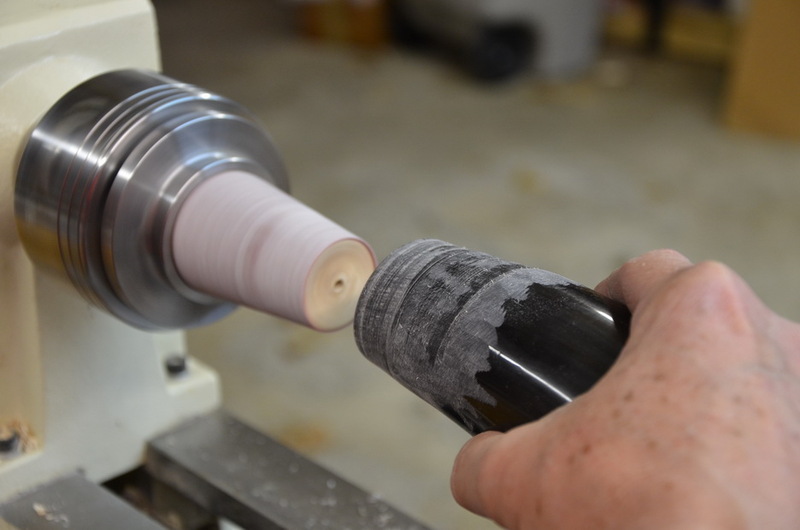 Then it is pressed onto a round, tapered cone that has previously been turned to fit on a wood lathe. 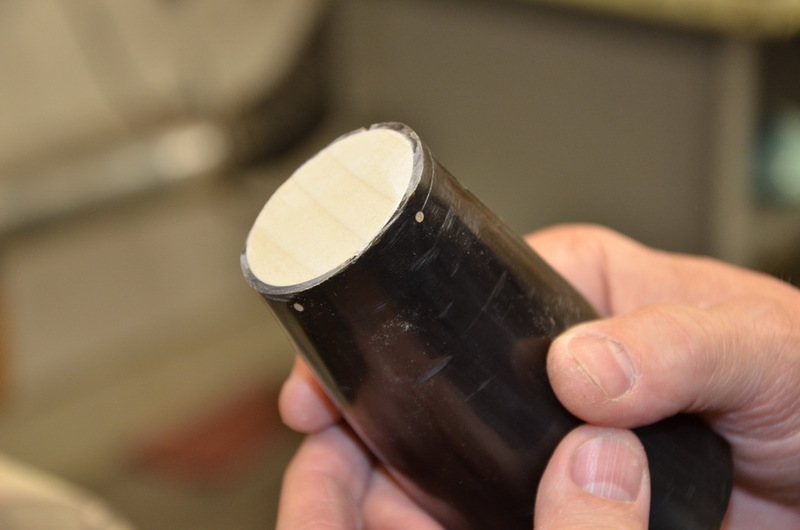 By pressing the horn tightly onto the cone and allowing it to cool, it will be left perfectly round. 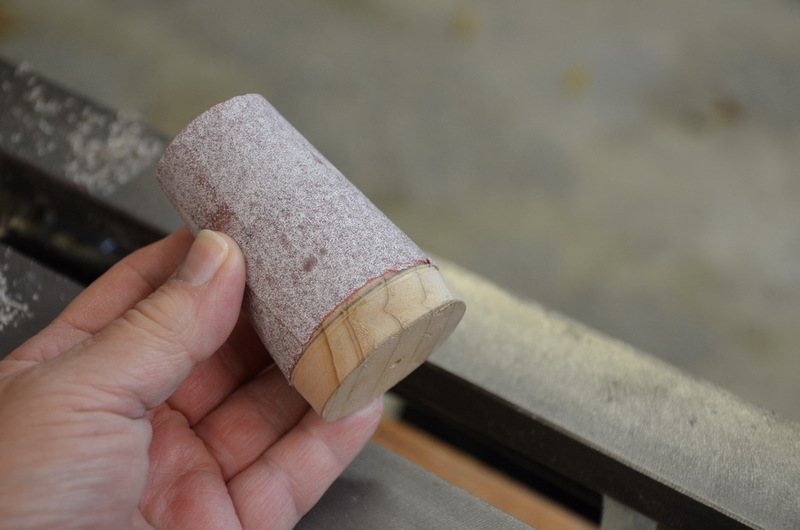 Next, make a tapered wooden cone that is covered with sandpaper. This is then used to sand a slight taper into the inside bottom of the horn. 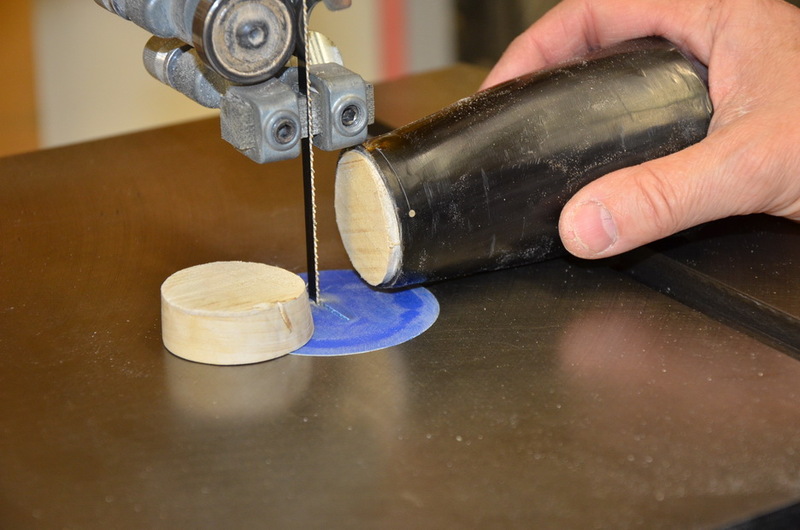 Then, using a lather, you can make a perfectly round, tapered wooden plug that will fit up into it. 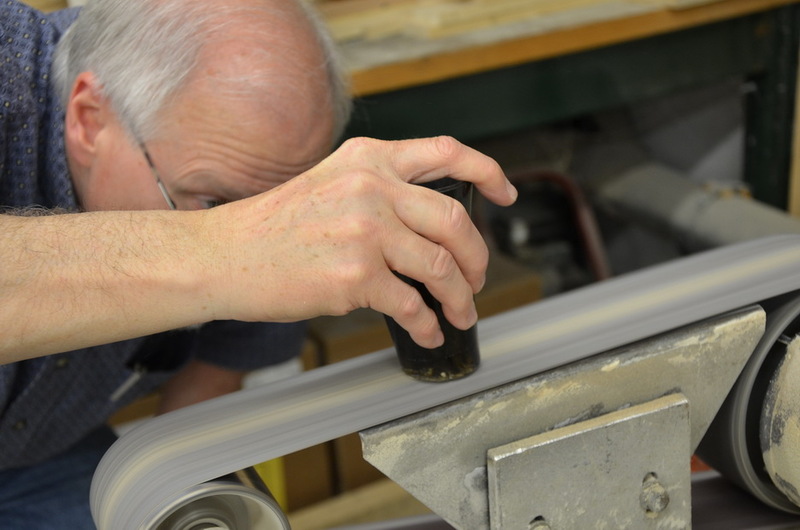 The horn must be heated again so that it will shrink down on the wooden base when it cools, thus making it completely watertight. This prevents any leakage whatsoever if done correctly. To secure the wooden plug, drill some small holes on 4 sides and glue in short wooden pegs. These are put in with glue and they will hold the bottom in place, although it will normally stay by itself. 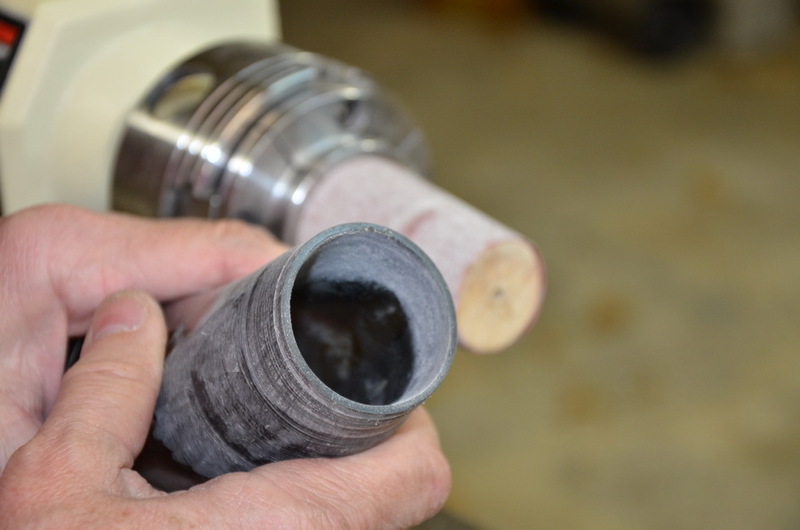 The last step is to cut the bottom of the wooden base plug off flush with the bottom of the horn and sand it smooth. The cup should now be ready to use. 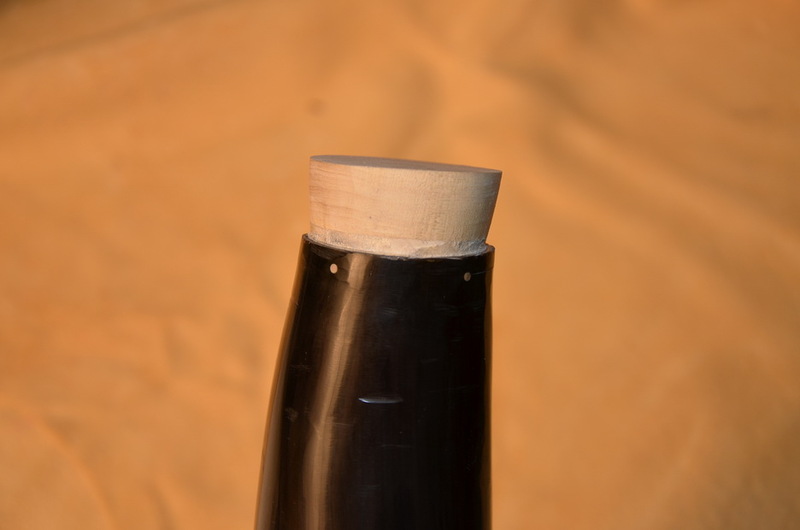 Instead of making a cup, you could make a Rum Horn or Salt Horn by plugging both ends of the horn blank and then drilling a hole in the side for a stopper. 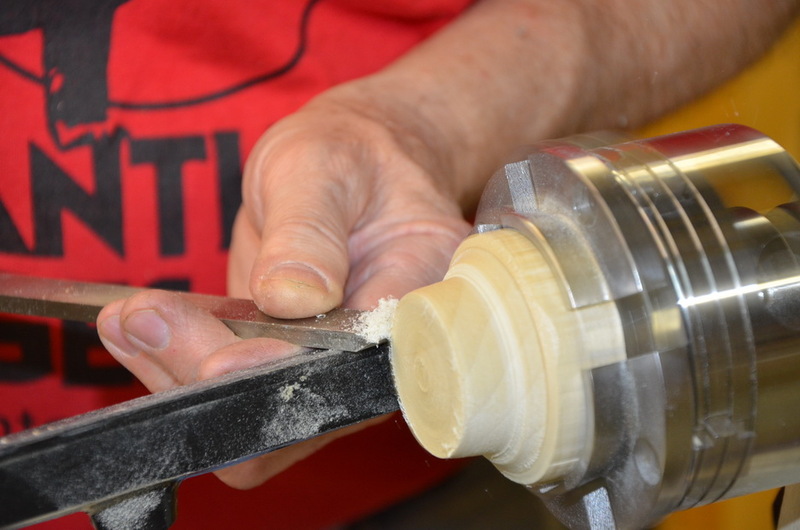 The method is the same for both ends and a small stopper can be carved from a piece of soft wood like pine. See Photos.